While BMW’s are some of the finest vehicles around every manufacturer will have problems that are more common than others. This post will talk about common BMW problems and solutions. Some of these problems are common to just about every type of vehicle and others are more specific to the BMW brand. 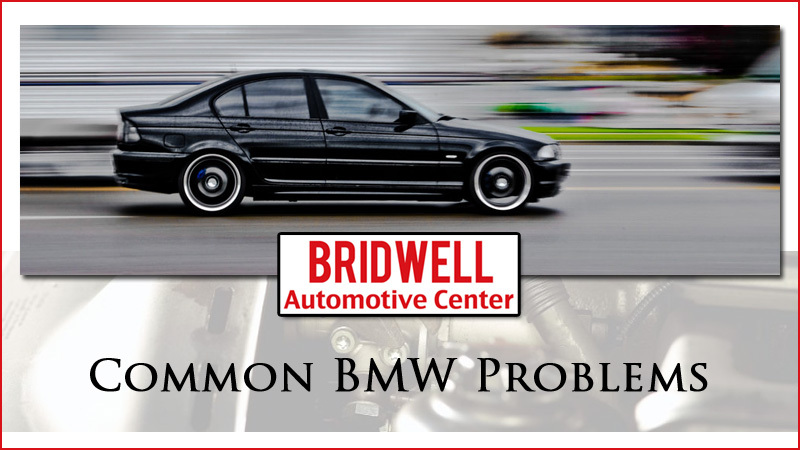 BMW’s don’t have a lot of problems, but when they do these are the top 5 most common problems. The majority of these issues are usually inexpensive to have repaired and don’t take very long to do. Depending on each of the issues and the reason there is a problem the cost of repairing these problems will vary as will the time needed to fix them. Our team specializes in providing affordable repairs and quick turnaround to keep you moving. The 3 Series of BMW is most prone to this problem. Windows stop working many times because of a damaged or worn window regulator. The window regulator is the system which uses electricity to power your windows to go up and down. The most common problem is when the regulator clips break. Another common problem is window wipers with a mind of their own. While automatic window wipers are great for sudden rain or snowstorms; window wipers that turn on by themselves can be distracting. Other electronic systems such as the radio, indicators, heat seats and others are also possible problem areas. If your check engine light is on there is a good chance you need new injectors, ignition modules, or even a new clutch. When BMW’s show a check engine light these are the most common reasons. Most of these repairs are fairly reasonable in cost and won’t take terribly long to repair. BMW remote key fobs not locking or unlocking the doors is another common problem. This can be an issue with dead battery, broken fob, or the vehicle’s electronics needing adjustment. While any size wheel can crack the most common type that cracks on the BMW is the 19 inch alloys with run flat tires. The alloy can crack if road hazards are hit at high speed such as potholes, curbs, or construction areas. If this happens there is a chance of the alloy puncturing the tire. BMW is frequently purchased due to its high reputation for quality and reliability. According to Consumer Reports BMW ranks highly for reliability. Reliability is a measure of how many repairs a vehicle will need within a timeframe. 80% of BMW’s score higher than the industry average in terms of reliability over the first 3 years of ownership. While the BMW brand is higher than average across the board there are some models which have more problems than others. Before purchasing a new or even used vehicle it is always advisable to research the particular model you’re interested in. Some are built on tried and tested platforms and will be more reliable. Other newer models such as iDrive will be new concepts that naturally will need some attention as the vehicle model develops and matures. 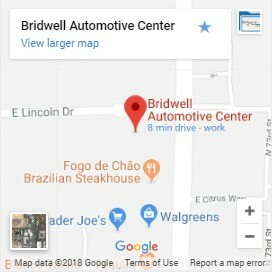 If you’re searching for BMW repair in Scottsdale or Paradise Valley our team can help! We specialize in the repair of BMWs and understand their systems and common problems intimately. Having been in business for decades our experience is deep and our training up-to-date with all the newest models of BMW.